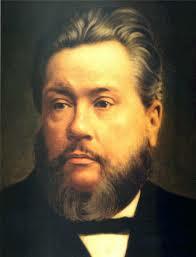 Sunday Spurgeon-KEEP the altar of private prayer burning. EEP the altar of private prayer burning. This is the very life of all piety. The sanctuary and family altars borrow their fires here, there-fore let this burn well. Secret devotion is the very essence, evidence, and barometer, of vital and experimental religion. The text will also apply to the altar of the heart. This is a golden altar indeed. God loves to see the hearts of His people glowing towards Himself. Let us give to God our hearts, all blazing with love, and seek His grace, that the fire may never be quenched; for it will not burn if the Lord does not keep it burning. Many foes will attempt to extinguish it; but if the unseen hand behind the wall pour thereon the sacred oil, it will blaze higher and higher. Let us use texts of Scripture as fuel for our heart’s fire, they are live coals; let us attend sermons, but above all, let us be much alone with Jesus.